The Holy Stone HS170 is a fast and agile small drone. 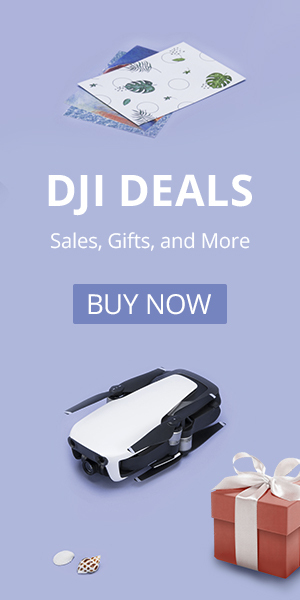 It is one of the best selling and top reviewed drones on Amazon. What is the secret to its success? Simplicity. It is fun to fly and an easy drone to learn on. The Holy Stone HS170 is an excellent beginner drone. If you are looking for a solid beginner drone that can handle a crash or two then you should look at the HS170. The Holy Stone HS170 was built to be a small, fast and fun quadcopter. First, it is relatively inexpensive and can be purchased on Amazon for under $40. Second, when in the low power beginner mode the drone is very stable and quite tame. It is also very durable and can take some abuse, unintentional or otherwise. Third, when you put this quadcopter in intermediate or advanced mode it is fast and agile. If you want to learn how to really fly a drone well then you should practice in an advanced mode. The Holy Stone HS170 is a no-frills drone. It doesn’t have a camera, the remote is basic, and the drone is small. However, it does everything you would want a drone this size to do. This drone does flips and it can be flown in headless mode. It is built to be a simple fun, fast and durable drone. The Holy Stone built the HS170 to compete with the popular Hubsan X4 line. The most comparable Hubsan is the X4 H107L. Let’s take a look at the two drones. The two drones are almost the exact same size, but the integrated prop guard and landing shocks make the Holy Stone a little larger. The guards and landing shocks are lightweight and do an excellent job of protecting the drone. from side and landing impacts. The Hubsan does not have a built-in propeller guard, but it can be added. The add-on prop guard for the Hubsan is a bit clunky and does affect performance, while we suspect the Holy Stone prop guard has a negligible effect on performance. The Hubsan has standard landing feet. The Holy Stone has a flying time of around 6 to 8 minutes, but our testing has it closer to 6. The Hubsan usually lasted a little bit longer, but not much. The biggest difference is that you can get a Hubsan X4 with a camera or even with FPV. Want a drone with a camera? The biggest difference is that you can get a Hubsan X4 with a camera or even with FPV without spending too much more money. Don’t confuse the camera with aerial photography drones like the DJI Phantoms. This one will take modest videos, but it is fun none the less. Flying FPV is also a lot of fun. It puts you in the cockpit of the drone and you can fly from the drone’s perspective. Learn more about FPV here. This is the Hubsan X4 H107C. It has a camera to record flight video. 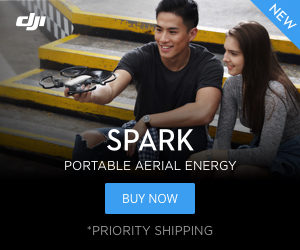 What about accessories for my drone? Interestingly enough, the Hubsan X4 and Holy Stone HS170 use identical propellers and batteries. Whichever drone you choose you will want more propellers and batteries. The two drones are comparable in price and depending on the color choices they both generally run between $30-45. We have done some flight tests on the Hubsan H107D and H107C as well. Click HERE to see the review of the FPV model as well as a comparison of the different Hubsan X4 models. To summarize, the pros of the Hubsan are: Faster speed, broader user base, slightly longer battery life, and integral camera. The Pros of the Holy Stone HS170 are an integral minimalist prop guard and slightly better stability. To sum it all up, the Holy Stone HS170 is a very fun and durable drone. If you are looking for something that is quick, nimble and durable that you can grow into as a drone pilot this is a good choice. The HS170 is a good drone to start for aspiring drone racers.